"Palatinatus Bavariae Descriptio" and "Argentoratensis Agri Descriptio". 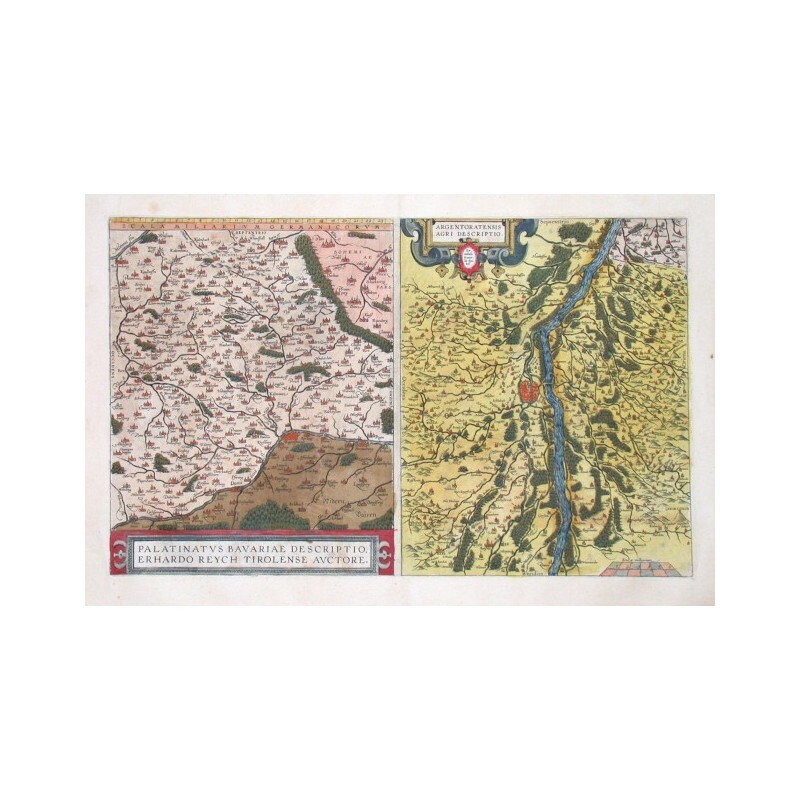 Copper engravings by E. Reich and D. Speckel, first published by Abraham Ortelius, 1580. Original contemporary colouring. With two ornamental cartouches. Two maps on one sheet. 30:49 cm (11 3/4 x 19 1/4 inch.). V. d. Broecke 112a,b; Koeman III, map 2670+2525:31, ed. 31:031 (1584 Latin)- Ortelius' map of Bayern is based on the map by Erhart Reich. 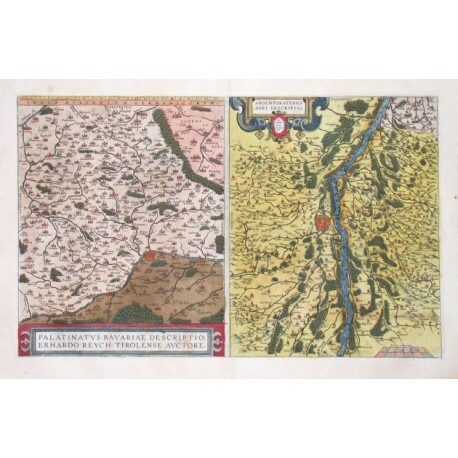 The map of the Rhine, both south and north of Strassbourg is based on Daniel Specklin's three-sheet map of the Elzas of 1576. The Bavaria map includes Regensberg, Nuremberg and Bamberg.